British consumers are eating twice as many strawberries as they did 20 years ago. According to some farmers, the army of East European workers flown in each year to pick the fruit has helped in keeping the prices down. But what happens to our British strawberries in the event of a no-deal Brexit? “Our biggest challenge in the last two-and-a-half years has been in acquiring the labour to work on our farms. Nobody in this country wants to work in our farms, we have tried getting local people to fill in but they haven't stayed,” said Jaswinder Singh, Operations Director, Vicarage Nurseries. 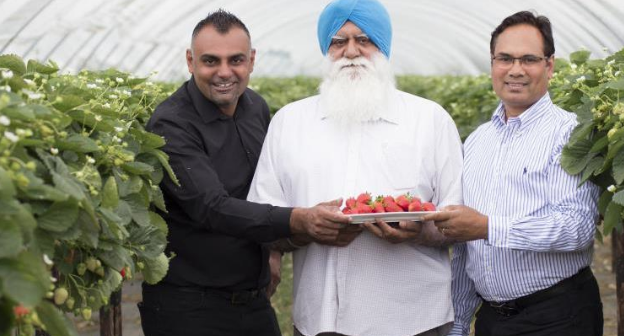 Vicarage Nurseries is a family-owned farm in Worcestershire, UK which was started in 1996 by Makhan Singh, and today his family is the only British Asian family in the business of growing strawberries. 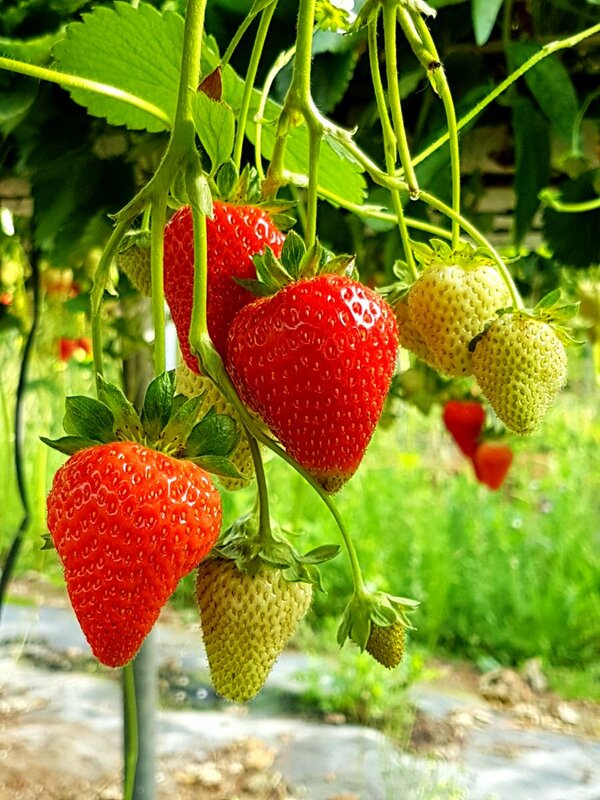 The farm that was originally only 2.6 acres in size now grows strawberries over a land mass of 100 acre sand produces over 800 tonnes of strawberries annually. The nursery grows strawberries and raspberries throughout the year with the help of 12 permanent labourers, barring the six weeks in winter. But it also employs 250 part-time workers during the peak season of April-October. “95% of our staff is Eastern European and we heavily rely on them especially during the picking season and the labour shortage has grown so stark that the community farmers are asking each other if there are a few labourers who can work on each other's farms. “One of them had plants that he needed to plant but didn't have the workforce. As a farmer myself, I understand the fix that he is in because these plants have a short life which can die in a matter of days and that would incur a huge loss for the business,” Jaswinder revealed. Reports indicate that the number of foreign seasonal agricultural workers coming to the UK from other EU nations for a few months each year was roughly equivalent to 80,000 people. About 30,000 of those were put to work harvesting soft fruits and berries. This labour workforce from the EU countries has helped in keeping the prices down - a 400g punnet of mid-season British strawberries has cost around £2 for more than 20 years. But Brexit threatens to restrict the supply of workers it relies on. But workforce is not the only factor which can potentially inflate the strawberry prices. “We have tried growing some of these plants locally in the UK but it hasn't worked out in our favour and they are usually of a low quality. At present we don't have any import duties on these plants. But, if a no-deal Brexit takes place and if we come out of the Europe without securing any sort of trade agreement then we will face bigger issues of sourcing these plants. The UK government might encourage us to buy more locally grown plants if import duties are imposed on those sourced from the EU but considering these are low performing plants, the quality may suffer,” Singh explains. Jaswinder disclosed that over the years they have had plans into experimenting with different varieties of berries and targets of increasing their annual production levels. But in the last two years, Singh has witnessed a stagnated market and all these plans have been on hold currently because of the uncertainty surrounding Brexit. George Eustice, the agriculture, food and fisheries minister in Michael Gove’s department, quit after writing a resignation letter to Theresa May in which he criticised a “series of rather undignified retreats” by the government and warned that “any extension would be the final humiliation of our country."